Grappling with dramas both epic and personal, from the Deepwater Horizon oil spill to the "unspeakable misgivings of contentment," Eveningland captures with crystalline poeticism and perfect authenticity of place the ways in which ordinary life astounds us with its complexity. A teenaged girl with a taste for violence holds a burglar hostage in her house on New Year's Eve; a middle aged couple examines the intricacies of their marriage as they prepare to throw a party; and a real estate mogul in the throes of grief buys up all the property on an island only to be accused of madness by his daughters. None of this is true. All of this is true. I want to tell you about a boy in a boat on a nameless creek. About dawn reflected on the water but so dim over the swamp that it failed to illuminate the spaces between the trees. The boy's name was Henry Rufus Bragg and though he was seventeen years old and would most likely have been offended by my description, there was still enough boy about him that the word remains appropriate. He was handsome but in an unfinished way, especially in summer when the sun freckled his nose and cheeks, blurring his features, a faint constellation half a shade darker than his tan. Six foot three now and not through yet, his bones ached at night with growing pains. A late bloomer, his mother called him, the last of the model airplane builders, a tender boy, a quiet boy, an odd and earnest boy who, like the keeper of some lost art, memorized old knockknock jokes and repeated them in his head when he was bored. The first thing you notice about Michael Knight's Alabama-based Eveningland is his lovingly gentle writing style that is lyrical without being flowery. Knight imbues the stories within this collection with an attention to landscape and atmosphere that lend them a level of affection, thereby implying his personal relationship with their location. However, I was also struck by how he never allows place to overshadow the emotional connection to his characters. In fact, for the most part, these stories are universal enough that they could be located anywhere. Having never been to Alabama, I'm not completely sure if this is wholly positive. (Reviewed by Davida Chazan). With both suspense and humor, Knight explores “the going under of the evening land” in this diverse collection. A thought-provoking and deeply satisfying reading experience, Eveningland evokes the Old South without sentimentalizing its loss. Yet its characters, and the reader, too, know that it’s evening. And it’s very late. Knight pays careful, writerly attention to the details of desperation. His characters?often entombed in middle-age despair?in their weakened, even futile attempts to shift position, if not actually escape, give a reader the sensation of watching the lateral movements of blobs of life wriggling beneath a microscope. Michael Knight has the rare power to make a setting breathe, to invest it with a vitality that seems as authentic and intense as the pulse beats of his characters. Knight’s stories are at once simple and intricate, weaving the particulars of geography and weather into family loss from death, divorce, and estrangement, and the awful weight of grief. Starred Review. Peppered throughout with regional history that to firmly places the reader in the collection's southern setting, these often funny and heartfelt stories explore life in its messy fullness while also exuding a deep, wistful wisdom. Starred Review. From a distinguished Southern writer, a very fine collection capped by a masterful novella. Michael Knight is more than a master of the short story. He knows the true pace of life and does not cheat it, all the while offering whopping entertainment. This collection of linked stories is as potent as any novel I have read in a long, long time. There is humor and grief and an aching sense of longing that is nearly impossible to catch and put on the page. But Michael Knight does it and not only that, he does it beautifully. This new collection gives us a handful of new, shorter gems and one long, beautiful piece you'll not be able to forget ... His literary god-uncles, Fitzgerald and Cheever, would be proud of their nephew and his work. As for the rest of us, how fortunate we are, how truly fortunate, to be able to read his fiction. Michael Knight is an American master. Some of the action in Michael Knight's story "Our Lady of the Roses" takes place during Mardi Gras. The protagonist notes that the first celebration was in Mobile and not in New Orleans. That piqued my curiosity and I decided to do some research into this most colorful holiday. 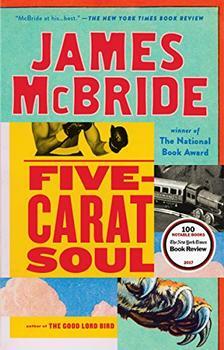 Exciting new fiction from James McBride, the first since his National Book Awardwinning novel The Good Lord Bird. 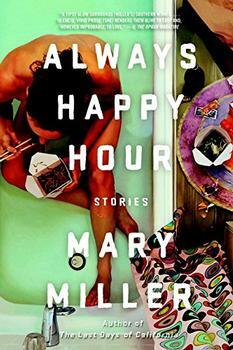 Combining hard-edged prose and savage Southern charm, Mary Miller showcases biting contemporary talent at its best. In The Last Days of California, she now reaches new heights with this collection of shockingly relatable, ill-fated love stories.